It's been 4 years since I was this excited to go to a game. 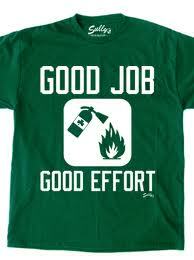 Somebody better be selling "Good job, good effort!" shirts outside the building tonight. Celtics win in a landslide tonight baby! Guess who the Sox best pitcher is so far? How long can the C's keep this going?